The letter charged that the big box retailers are using predatory pricing practices to “attempt to win control of the market for hardcover bestsellers.” By selling books below cost, Amazon, Wal-Mart and Target “are devaluing the very concept of the book. Authors and publishers, and ultimately consumers, stand to lose a great deal if this practice continues and/or grows,” the letter stated. Furthermore, the letter noted, the companies involved in the price war are not engaged primarily in selling books, yet their fight could result in the entire book industry becoming collateral damage. The letter added that the price war over hardcovers was precipitated by Amazon’s decision to price e-books at $9.99. “We believe the loss-leader pricing of digital content also bears scrutiny,” the letter stated. We've been running a weekly column every Monday on marketing, written by Sara Dobie of Sylvan Dell Publishing. As that column has come to an end, we decided there were still plenty of marketing suggestions for our readers so.... introducing Marketing 101. Every Monday we'll offer suggestions to help your book reach its target audience. As the year nears an end, we've received several books in for review that have a December publication date. We have to ask - why? Why choose December for your book's publication? Is it to get the holiday sales? If so, you're several months too late. Is it simply a matter of "that's when the book will be ready"??? Please consider changing the date to early 2010. December is probably the worst month to release a book. Did you know that bookstores will consider a book with a December 2009 publication date as last year's book? To them, current, immediate, just published is what they want. Unfortunately, most won't look beyond the 2009 date. In January, 2010, just a month after release, your book is viewed as old by so many. Getting attention in the over-crowded book world is hard enough. Don't make it harder by making your book old before its time. Move the publication date to January, or even better, February of 2010. January sales tend to be a bit light because shoppers' wallets are still recovering from the holiday season. FQ: - Eusebio is at first a naive, ill-informed and even somewhat meek character. But he changes/grows through the book. How/why did Eusebio change so much? Yes, it’s completely true that Eusebio, at the beginning of the book, is naïve and ill-informed. But that’s not really his fault. It’s because he grew up in the sheltered Humanist community of Tuckers Corner, completely cut off from the world of the 22nd century. So, Eusebio’s finding out about his world along with the reader. And as the terrible ethical issues arise in the novel, both the reader and Eusebio are forced to grapple with them together. Eusebio is an everyman: in the words of his daughter, Sally, “he seems so normal, so regular. And yet, he’s really special.” Eusebio’s specialness resides in his humanity, and as he reacts in an increasingly angry and alienated way to the world of the d-humans, I hope the reader feels in touch with his spirit and internalizes his emotions and spiritual struggles. FQ: The bio-ethical issues brought up in Requiem of the Human Soul are many. Would you discuss some of these issues and how they might actually impact our society in the not-too-distant future? Our advances in cracking the secrets of the human genome may have an even greater effect on humanity than all the scientific discoveries and technological transformations of the past few hundred years. Until now, we’ve been developing ever-increasing powers to shape the external natural world to our will. In the future, we’ll be able to apply that power to ourselves, to what makes us human. This will present almost unfathomable opportunities and risks to our society, and force us to question the very nature of our humanity. And, as I’ve tried to show in the novel, this is not a theoretical issue for future generations to consider long after we’re all dead. We’re beginning to shape the debate over these issues right now, in our current generation, in areas like the ethics of cloning, designer babies, brain/computer interfaces. One of the ways I tried to show this in the novel was with the four interludes – future newspaper and magazine articles spread about a generation apart from each other over the next hundred or so years. What I hope readers take away from these articles is how what is unthinkable to one generation can become avant-garde to the following generation… and commonplace to the generation after that. Readers interested in the current debate over these issues can find out more on the novel’s website, www.humansoul.com, which explores what’s going on right now in the area of human genetic engineering, and looks at the slippery slope from the present day to a world of d-humans a hundred and fifty years from now. FQ: Would you tell us a little about where the idea for "virtual field trips" came from? It's a great concept and added much to Harry Shields’ arguments for the Primals' destruction. Yes, the virtual field trips certainly add another dimension to the book. Eusebio, Harry and Naomi go to the farthest reaches of the earth: to a decrepit Primal village in India, to a regenerated Safari park in Africa, and to a frontline in the battle against the Rejectionists in Pakistan – without ever leaving the United Nation building in New York. I came up with these virtual field trips as a solution to a major conundrum with my novel: how do you make a philosophical book exciting and dramatic? In many ways, this was the fundamental challenge I had in writing the novel. 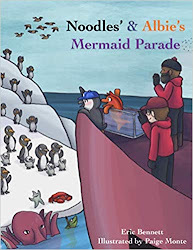 I wanted to make readers think about issues like the devastation we’ve brought on the world, and what that means about our species, but I also wanted to make the book exciting and fun to read. Robert Pirsig showed the way when he wrote Zen and the Art of Motorcycle Maintenance, a book about philosophy but one which attracted readers through the characters and relationships. In my case, I had the freedom to use the cool technologies of the 22nd century to get the action going in the book. FQ: The idea that the soul can be seen, via "Schumacher's Smudge" was quite intriguing. Where did this idea originate? Well, I just came up with it myself as I followed through on the idea of the soul as a kind of background radiation of our DNA. But since then, I’ve researched a fair amount on views held by other societies about the human soul, and it turns out my idea isn’t as radical as it sounds at first. We’re used to thinking about the soul as something abstract and eternal, something that exists in a dimension completely separate from our physical lives. In fact, that’s a view that’s rooted in the dualism of Plato, and got incorporated into the Christian view of the soul by the early Church fathers in the first few centuries of our common era. Most other cultures in the world have viewed the soul as something tangible, just more ethereal and finer in substance than our flesh and blood. And it turns out that even Aristotle had a view of the soul that’s consistent with “Schumacher’s Smudge”, as an emergent phenomenon arising from the body’s existence, a property the body possesses as a living thing. So, if you take a longer perspective of human culture, maybe what’s more unusual is the current idea of the soul as something totally abstract and separate from the body! FQ: D-humans seem to be the ultimate DNA manipulated humans. That is, until we read about d-3 Humans. Was this a statement on the "always something bigger/better" in the near future, that we'll never stop trying to improve upon ourselves, and eventually, perhaps, destroy ourselves? Yes – that’s a major theme running through the book: the unstoppable acceleration in the rate at which mankind is changing the natural world – including ourselves. I sometimes think of the rise in our powers of technology like a satellite launched into space. If it keeps accelerating out of control, the satellite breaks orbit and shoots off into space, leaving the Earth behind. There’s a danger that our technology may go the same way, leaving us humans behind. For a satellite to be useful, its acceleration has to be managed, so it reaches a stable orbit. The question is: can we manage our technology the same way, to avoid it accelerating into outer space on the one hand, or come crashing down in a fiery ball on the other hand? Quite honestly, I’m not sure if we can, and one of the goals in writing the book was to raise this question. FQ: Eusebio is a morally good person so I was intrigued to see how/if Yusef would be able to convince him to kill for the sake of saving the human race. Were the conversations between the two characters difficult to write? They were challenging to write and intellectually stimulating. Like most of us, I find the idea of killing anyone for any reason appalling, and so it was easy to take Eusebio’s point of view. The more challenging part was to make Yusef’s arguments strong enough that the reader has to take them seriously. And in fact, when you think through the issues, Yusef has some very good points. I’m certain that if I were transported back seventy years and had the opportunity to kill Adolf Hitler, I’d have done so in a flash. So, as Yusef points out to Eusebio, there’s no black and white answer to the issue: it’s a matter of making agonizing trade-offs among shades of gray. FQ: There is a lot of interesting talk in your book about spirituality and native peoples/traditions. Is this a topic that has always intrigued you? When I was in my early twenties, I spent some time with the indigenous people in the highlands of Guatemala, who still wear their traditional clothes and speak Mayan dialects. I had two profound reactions to this experience that have remained with me ever since. One the one hand, I felt awe and love for their traditional ways of living and for the depth of humanity I saw in their faces. On the other hand, I felt horror at how their cultures have been systematically devastated by Western civilization. Most of us barely give a moment’s thought to the fact that modern civilization has been built on foundations of brutal genocide. We joyfully celebrate Columbus Day, without a passing thought to the horrors caused to the indigenous people of the Americas since that day in 1492. At the same time, many people who feel a lack of spiritual fulfillment in traditional monotheistic religions look to the ancient wisdom of indigenous cultures to try to find some meaning there. But what’s left is in such tatters that it’s hard to pick up much that pierces through the shell of our Western culture. So a large motivation in writing the book was to honor the beautiful, vanishing cultures of the past and to raise people’s awareness about some of the crimes perpetrated in the name of our society against the indigenous people of those cultures. To learn more about Requiem of the Human Soul, please read the review at: Feathered Quill Book Reviews. FQ: When my first child was born, a grandmother promoted kissing the baby on his sweet-smelling head when I was feeling overwhelmed. Surprisingly, that little tip really helped diffuse the tension. What is the one best piece of parenting advice that helped you get through some tough spots when the girls were little? RELAX! Especially with my first daughter, I was so nervous, so worried all the time...what if she doesn't ever learn to walk? What if I forget to teach her something and then she fails out of college because of me, on and on. Sounds silly but parents really do worry so much and sometimes take too much of the burden (and credit) when it's more about the kids and their lives/success/accomplishments/calling in life, etc. It's not so much about the parents but many times it's hard to believe or live like that is true. Only when you relax and keep things in perspective can you fully soak in the joys of all parenting was meant to be. FQ: The wide range of topics in this book is impressive in its diversity! Were there topics that you wish you had included in Enjoy the Ride, but felt you had to leave out due to space issues? FQ: Parenting can be unexpectedly challenging, as you point out in Enjoy the Ride. What challenges did you encounter that surprised you in their complexity? I always thought parenting would be a breeze-that I'd never raise my voice, that I'd always have a happy household and that I would have all the answers. Although the overall tone and mood can be joyful, there are many really tough moments of parenting. Your children test your limits over and over and over again. And, you find you cannot be patient all of the time. Things don't go as you expect-sometimes better, other times worse, and yet other times, there is a total twist. But, through it all, wonderful plans unfold for each member of the family and what a privilege to get to be a part of this wonderful journey. FQ: I feel like I got to know your daughters a little in reading this book! How are Grace, Faith and Hope these days? What parenting challenges are you coping with at this stage in their lives? They are thriving and we are enjoying! Thanks for asking. I'm so glad you felt you got to know them a bit because the joy I have in parenting them is something I want to really convey. Faith is turning 13 next month but we actually just got done doing an early celebration for her, including totally re-decorating her room. Extreme makeover! Her nature theme with butterflies galore is "Spread Your Wings and Fly!" She has such a wonderful life ahead. I can't wait to see it unfold more and more. Ever year that I get to witness the growth and life of these precious children that I have such a short time to really have under my roof, the more I savor each moment. Even the most challenging times are part of the memory and will be treasured. FQ: Have you considered writing another book on the challenges of the teen years as your children get older? Or do you have other child-rearing books in the works? I also have a book devoted to sleep that is due to be released in February of 2010. In Sleep Tight, parents can have access to my proven, easy-to-apply plan for teaching your child to sleep peacefully on their own within three days. Within the pages, I share my solid plan in a very easy-to-read format with Q & A, case studies, and specific plans for every age ranging from birth to 4 years. In the works are also a multitude of books on topics such as discipline, responsibility, and nutrition. Also, I am working on a children's book series as a companion to my first book, Enjoy the Ride. FQ: Can you tell our readers about your online resources for parents, so they can continue to turn to you for updated advice? -new elements always being added-come visit to find out the latest!! 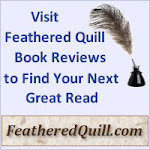 To learn more about Enjoy the Ride , please read the review at: Feathered Quill Book Reviews. 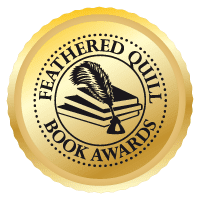 Submit your book for awards. The RIGHT awards. By “right,” I do not necessarily mean the ones that cost a fortune. I mean the ones that your book might actually win. I know I always talk about doing your homework, and I know you get sick of hearing it. However, homework is the key to award submissions. There are so many awards out there. You need to make sure that your book has a shot in the contests you enter. So check ‘em out. There are listings in the Writers’ Market. But you can also just search the internet. Try to find the awards that are FREE. Many of them cost money, and as an independent author, you may not be able to afford submission. So again, find the awards that are FREE. And submit away. Send something akin to a promotional package with your award submission, complete with cover letter, promotional materials about you/your book, and of course, your book itself. Awards function as publicity tools. If you win awards, people will be more attentive to you and your writing. They will be more likely to purchase your book, so go after those awards! So simple and so easy to forget! Today, we're excited to welcome Valerie Connelly, Radio Talk Show Host since 2005, and Publisher and founder of Nightengale Press as our guest blogger. Check the links at the end of Valerie's column to get more information about Valerie and the services Nightengale Press offers. Internet talk radio is a growing entity, which provides low-cost, high-value opportunities for anyone who needs to promote themselves, a product or a business. Giving interviews helps to establish you as an expert in your area of interest. Authors and people in the book industry are wise to participate as often as possible. As a radio talk show host, I have the opportunity to interview authors and business people who work in the publishing industry every week on CALLING ALL AUTHORS (www.globlatalkradio.com/shows/callingallauthors) . Personalities appear with me on the show each week, and for each program, we have a routine that works well for us and for our guests. Here are some tips and details of etiquette that apply to any interview with the media, including newspapers, television interviews and radio interviews. * Be prepared. Provide your host with six to ten talking points you'd like to discuss at least a week before the interview. Organize these points in a logical order and actually use them when you are on the air. * Keep the appointment and be on time. There is nothing more impolite than to not show up, or to show up late for an interview. Unless you've had a serious calamity in your life, call in at the appointed time. Make it a priority to participate. If you can't make the interview, call or email the host at least day ahead. Please, do not just "not show up." You will not be invited back---ever. * Speak clearly. Remember that you are talking to promote yourself, your book or your business. Slow down if you usually talk too fast, speed up if you usually talk too slowly, and speak loudly enough to be heard. It is amazing how often people mumble into the phone. And, don't breathe heavily into the phone, the air muffles the conversation. * No multi-tasking. Turn off your computer and your cell phone so you are not tempted to multi-task. Close the door to the room and ask your family to stay away till you come out after your interview. Please, don't do the dishes or tidy up your office while you are talking. * Be polite and cheerful. It is okay to be happy on the program. Even if your topic is serious, an occasional, appropriately light-hearted comment is a good thing. Remember, you are showing who you are, so a cheerful demeanor goes a long way help listeners hear what you are saying. Also, smile as you talk. The smile will come through in your tone of voice. Have fun and it will show! * Give the host a chance to interact with you. Be complete in your answers to all questions, but don't run on for several minutes without pausing. The host may have a question your listeners are thinking too, and if he/she can ask the question, your interview is even more valuable to you. * Use an outline for your responses. All too often guests read from a written text. At the most, have your talking points list and a few short comments for each so you remember what you want to say about each item. But, do not write out a long answer. The temptation is to read it, as this kills the conversational style of an interview. * Be sure to give your website URL. Your host will ask you to say what your website or email address is so listeners can contact you. Work it out ahead of time how to most easily give this information. Most people know you need the www. Ahead of the website, so you don't really have to say that part anymore. Point out anything unusual about the address --- perhaps a number or a strange spelling is part of your URL. Make sure to clarify that as you give the information. After the interview is over, write a quick thank you email to your host. This goes a long way to getting yourself invited back on the show. Keep in touch with the show host for future events you'd like to publicize. Being on talk shows is a very valuable form of exposure, and the more of them you can do, the better. And, if there is a way to advertise on the show's home page, for a reasonable cost, jump in. There are plenty of other people who come to the show's archives, and will see your display ad. It may encourage them to listen to your interview as well, and if you are running a commercial, everyone who hears it will connect with you long after your show airs. As expected, judge Denny Chin has approved a motion filed by the AAP and the Authors Guild to adjourn the fairness hearing set for October 7 as part of the Google Book Search Settlement agreement. The judge threw a bit of a curve into the proceedings, however, when he ordered that instead of a fairness hearing he will conduct a status conference on that date. 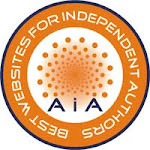 The AAP and Authors Guild had asked that a status conference be held November 6. In his order, Judge Chin said he wants to hold the hearing “to determine how to proceed with the case as expeditiously as possible, as this case has now been pending for four years.” Chin said parties that had filed requests to be heard at the original fairness hearing may still attend the October 7 hearing, but added that he will not hear arguments from them. In an e-mail to its members alerting them to the judge's order, the Authors Guild noted that "we'll continue to work on amending the settlement to address the Justice Department's concerns."